On Tuesday 26th March Twitter will be taken over. Will you be at the #peppasthemeparkparty ? There's only 5 days to go now until the big day, are you as excited as we are? We've been busy getting ready for our Peppas Theme Park Party here, it's been very exciting. Our party boxes arrived last week which caused a big fuss, I had to try and keep it's contents hidden from my three little ones or the goodies would have never lasted until the big day. I'm really excited to show you what was inside though. 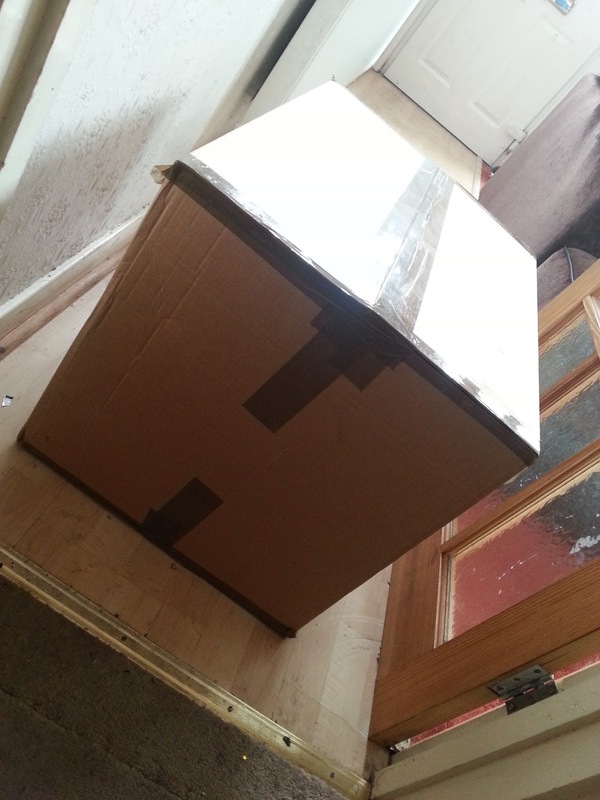 Just look at the size of the box, it was huge! 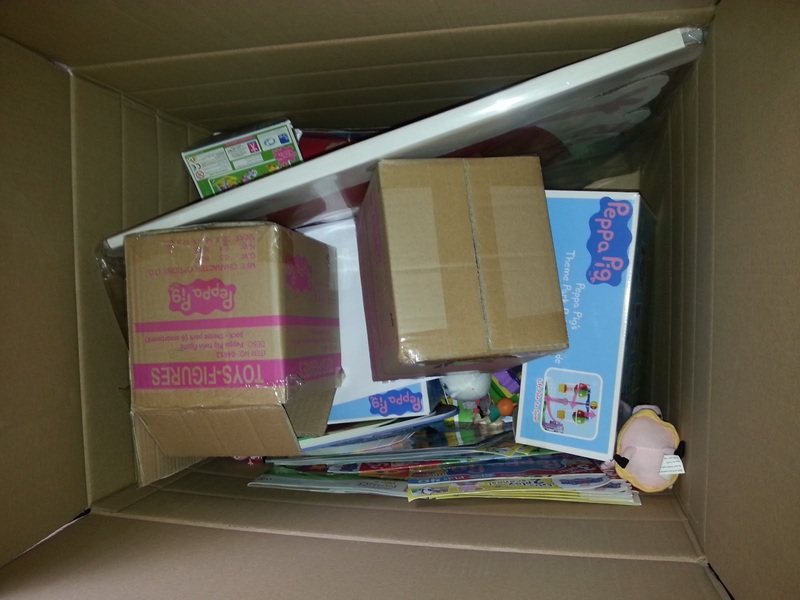 Inside our Peppa's Theme Park Party box there was lots of amazing goodies. Peppa Pig bunting, cups, plates and party accessories. 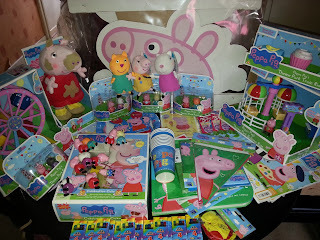 There was gifts for our guests and lots of new Peppa Pig Theme Park toys for them all to play with. There was Peppa Pig magazines and lots of other exciting toys including cute little figures. 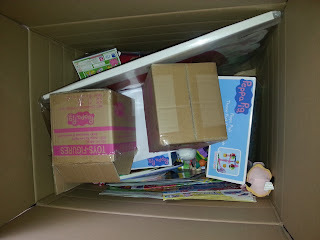 I couldn't believe just how great our party box was, it even had a gorgeous Peppa Pig cake! Yes, that's right, cake. Well it wouldn't be a proper party without a cake now would it? We've been busy inviting our 10 guests and spreading the news about our awesome party. I've even got some great take home party bags ready for our little Peppa Pig fans for when they leave. They're going to be filled with yummy sweets and pocket sized toys, I hope they like them. With just 5 days left to go, we're almost ready here. Will you be joining us? All the parties will be taking place on Tuesday 26th March including the big on live on Twitter which you can join in and win some awesome prizes with too. It's all happening between 3-5pm so be there or be square. Make sure you are following @UKMumstv and follow the hashtag #PeppasThemeParkParty for all the news and updates. @UKMumstv are also giving away lots of Peppa Pig prizes every day this week so why not pop over and enter. Who knows what you might win. You've got to be in it to win it as they say. I shall be tweeting live throughout our party, I do hope you will join us.